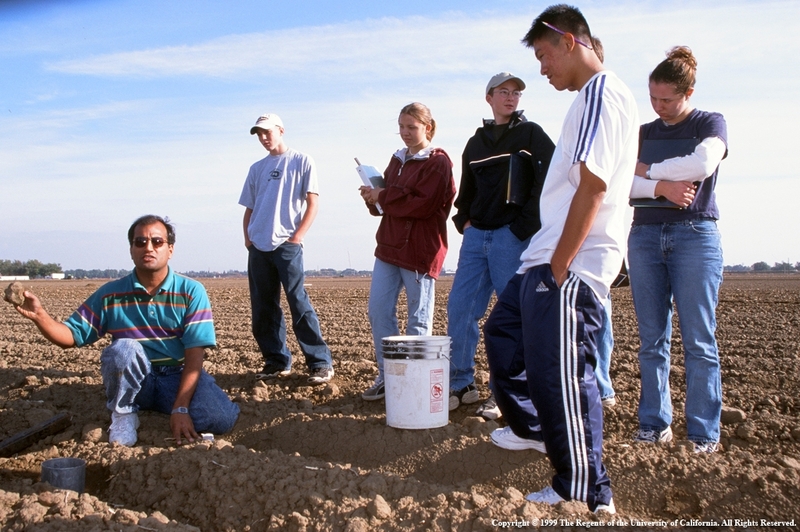 Agriculture majors are eligible for UC ANR scholarships, including one to study soil improvement. Three scholarships are being offered to college students majoring in agriculture by the University of California's Division of Agriculture and Natural Resources. The scholarships will be awarded for the fall 2018 semester or quarter. The deadline to apply or nominate for the scholarships is May 18, 2018. For more information about the scholarships and nomination and application processes, visit http://ucanr.edu/Development_services/Awards_and_scholarships. Rob Wilson describes a potato variety trial at Intermountain Research and Extension Center. Three scholarships are being offered by the University of California's Division of Agriculture and Natural Resources to college students majoring in agriculture. The scholarships will be awarded for the fall 2017 semester or quarter. The deadline to apply or nominate for the scholarships is May 19, 2017. 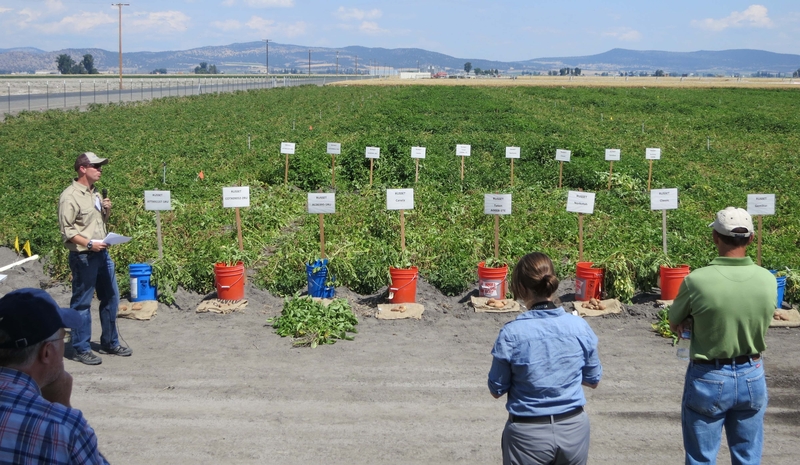 The Howard Walton Clark Prize in Plant Breeding and Soil Building is given to a senior student in a college of agriculture at UC Berkeley, UC Davis or UC Riverside who seems to show the greatest promise. Students must be nominated by UC faculty or academic advisors. Selection for the $5,000 scholarship is based on high scholastic achievement, talent for independent research and other characteristics, with particular reference to either plant breeding (leading to new/improved crops and new/improved varieties using appropriate tools) or soil building (leading to improving soil quality related to soil productivity and sustainability as a resource).